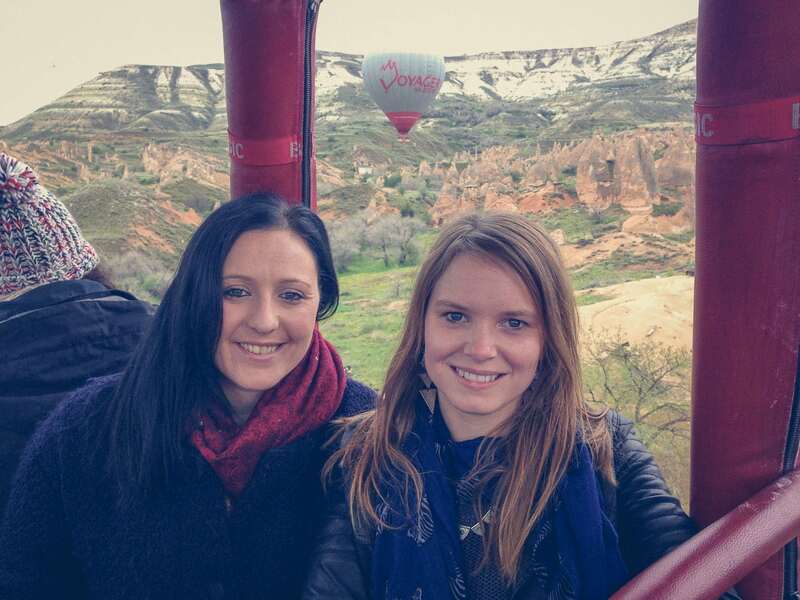 Hot air ballooning in Cappadocia is top of many people’s bucket lists – and it’s not hard to see why! 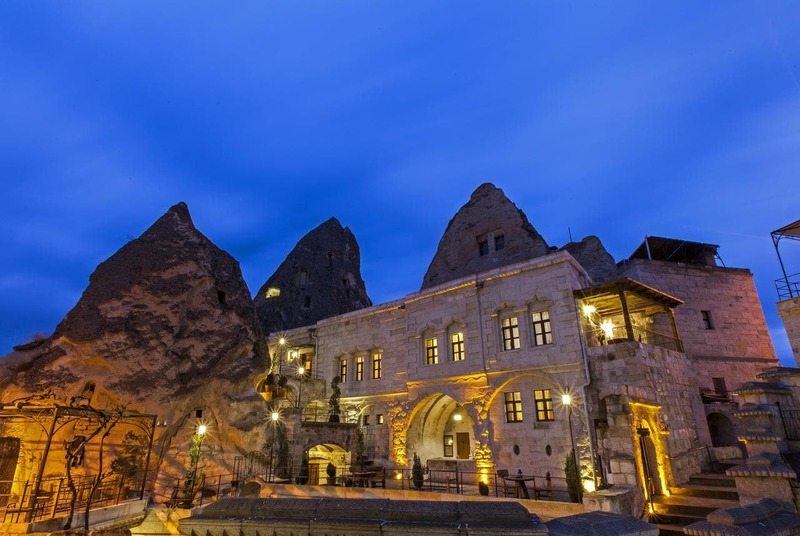 Find out more about the hot air balloon experience, then scroll down to find out the top hotels in Cappadocia to make your adventure extra special. 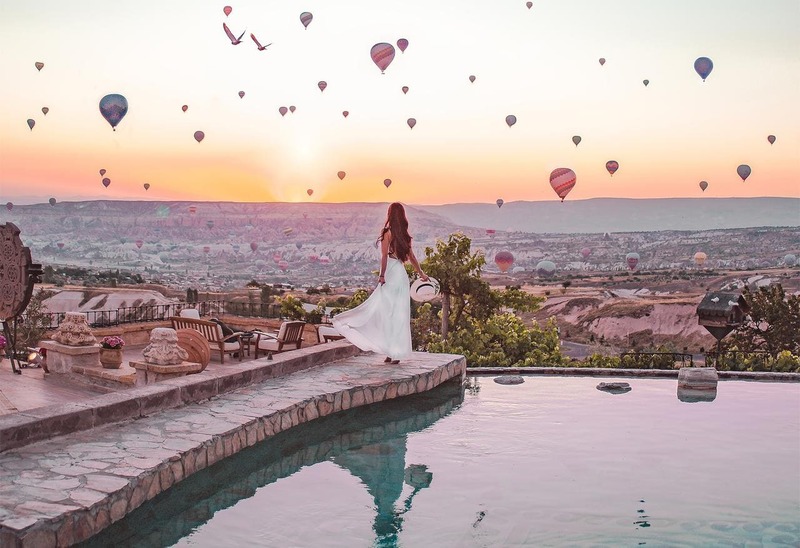 Ever since I saw photos of the magical Cappadocian landscape topped with a sky filled with balloons, a trip to visit was planted firmly at the top of my bucket list. 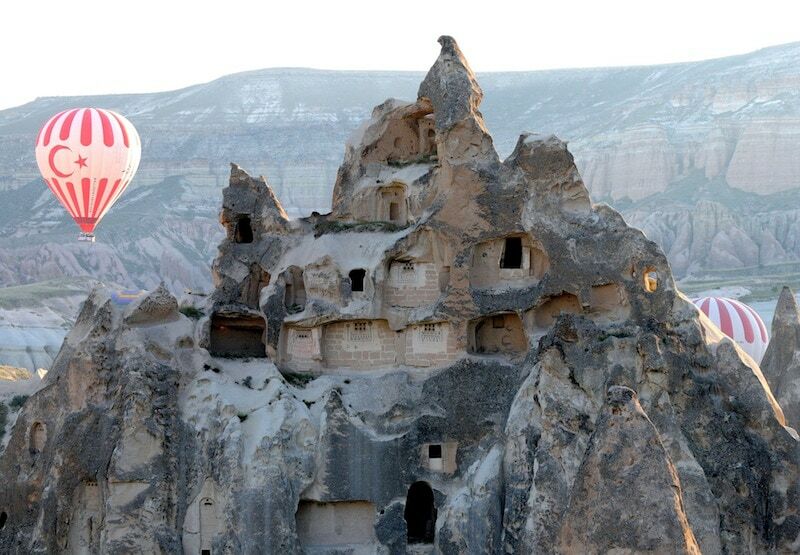 The Cappadocia region of Turkey is the most popular location in the world for hot air ballooning. 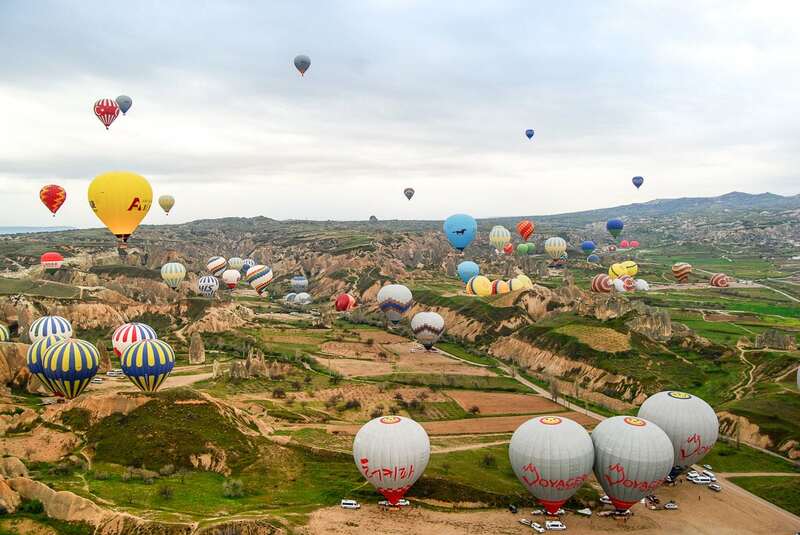 Last year, over half of the world’s balloon trips took place in the region, with almost half a million people taking to the skies. 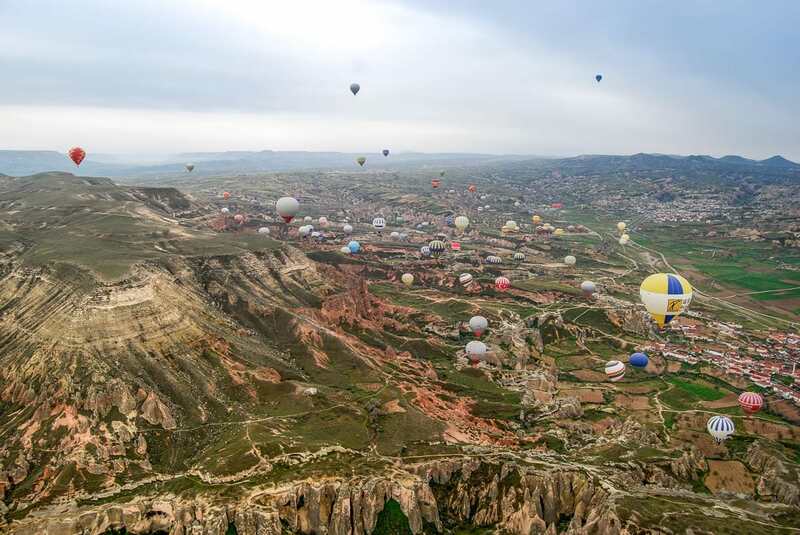 It’s also one of the few places in the world you can balloon almost all year round. 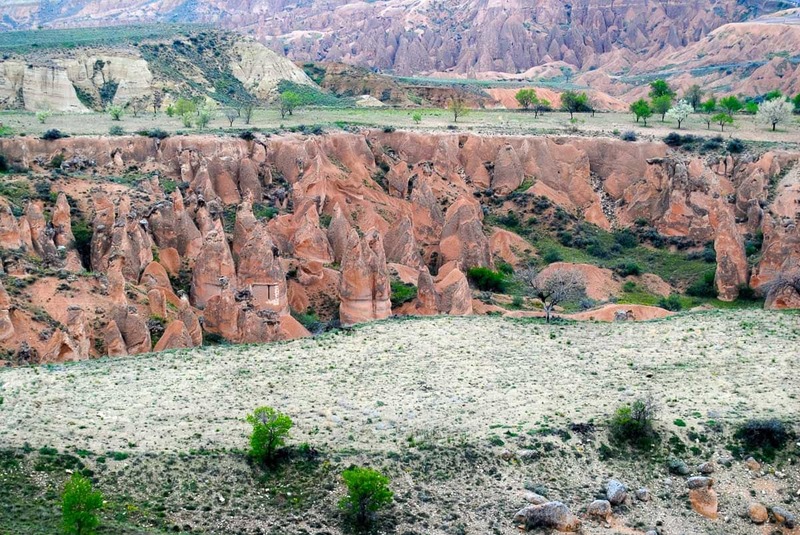 Trips run in boiling hot summers and snowy winters – and the landscape looks incredible in both. 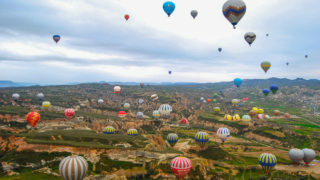 While on a flight, you won’t just see a few balloons, the sky will be filled with around 100 balloons of differing colours and designs. Every day is like a fiesta. Don’t worry though, it’s happens to be one of the most highly regulated places, and has an excellent safety record. To fly here, pilots must train for around 5 times as long as in other parts of the world. 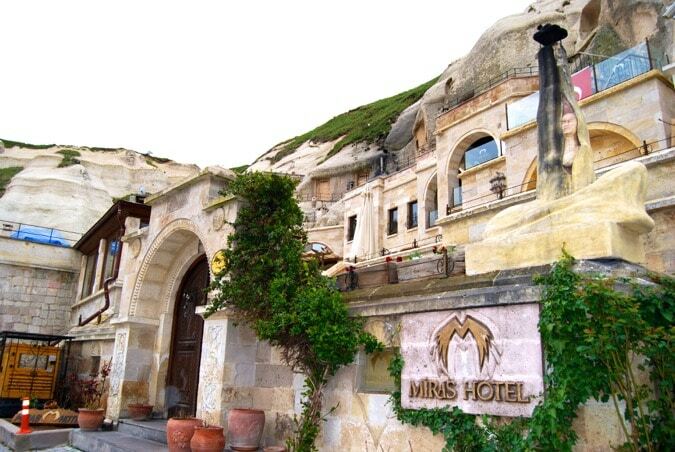 On the day, we were collected by minibus at 5.30am from our hotel and taken to the balloon company’s office in Göreme where we tucked into a light breakfast of coffee and pastries. We waiting nervously for a decision by the Civil Aviation Authority on whether it would be safe to fly. 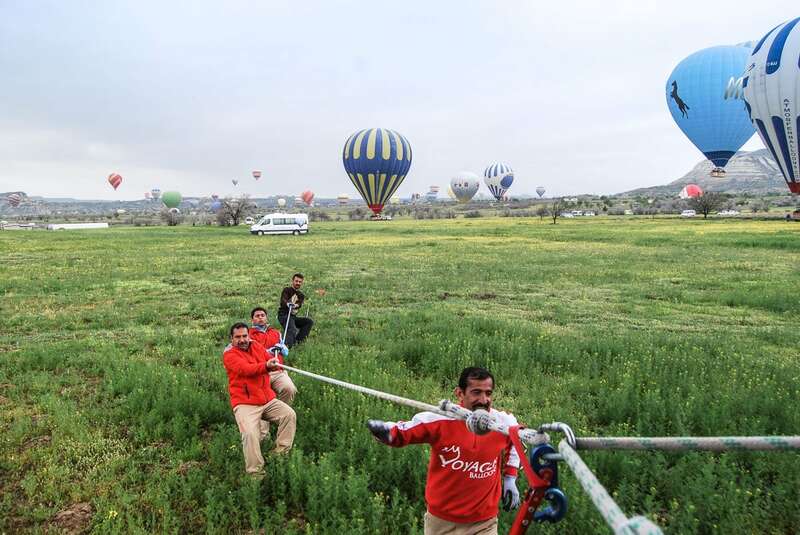 Around 6.20am, the green flag was given and we set off to the balloon take-off zone! 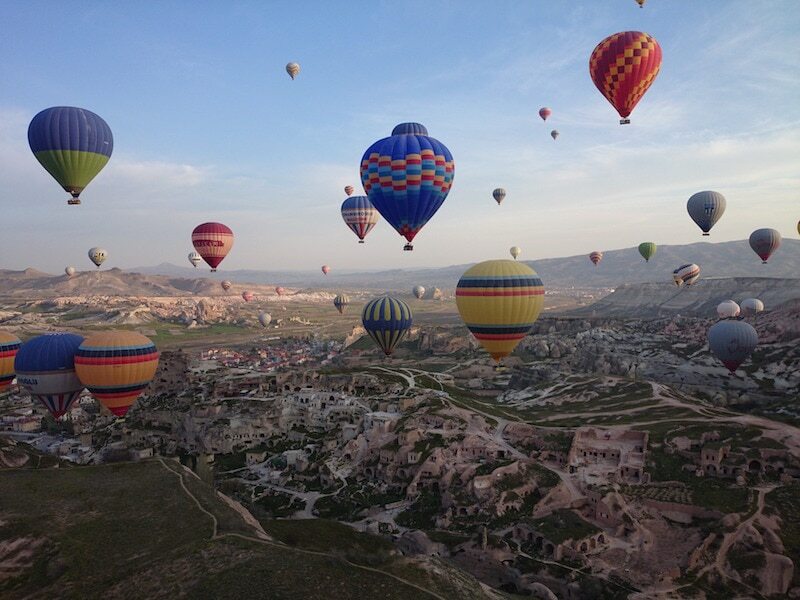 It was my first trip in a hot air balloon. I didn’t really know what to expect, or whether I would enjoy the sensation. 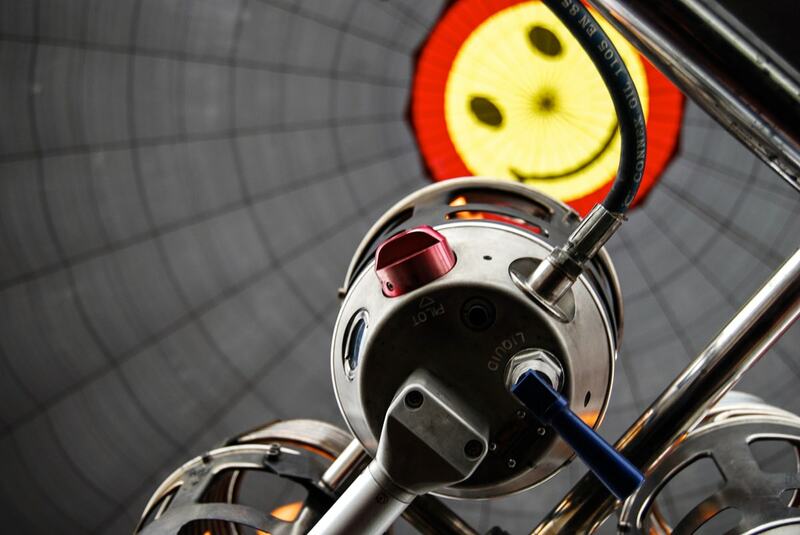 With 16 to a balloon, I listened to other passengers as they recounted tales of previous balloon trips. “When I did it they lay the basket on the side and you crawled in.” “Well, when we did it in Australia, the landing was really bumpy.” I wasn’t filled with confidence. 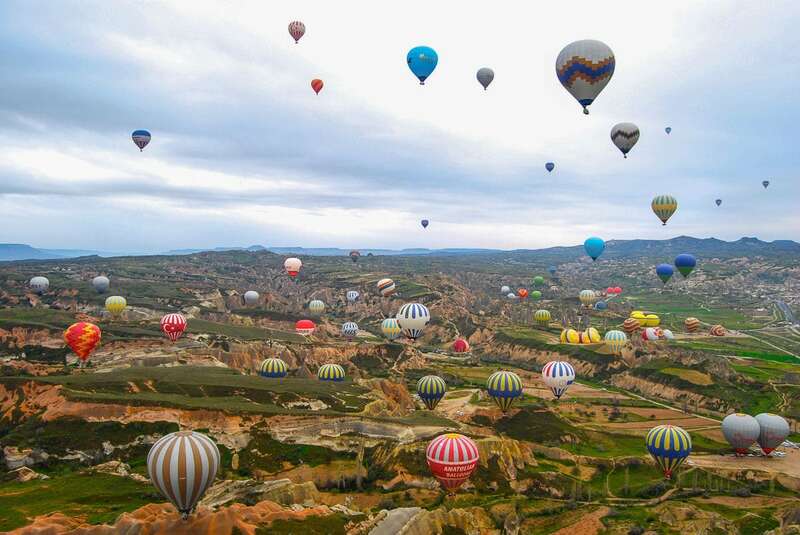 The whole area was filled with deflated balloons lying on their sides. 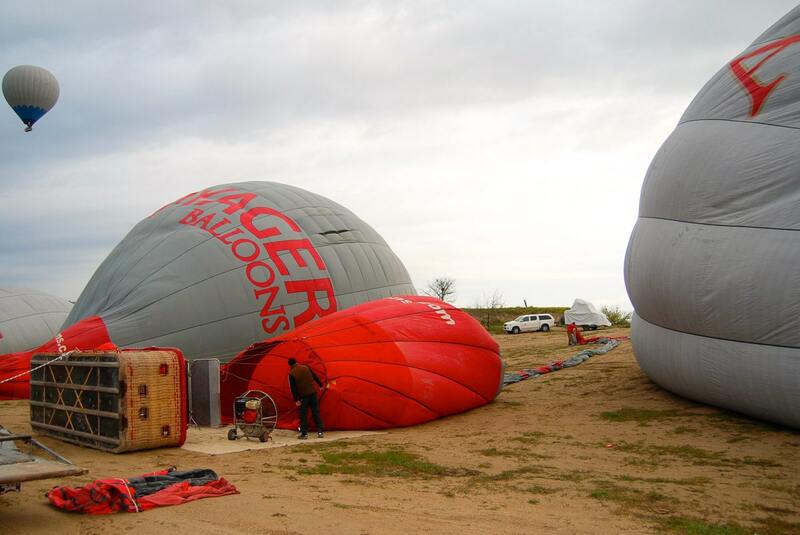 The balloon staff were busy setting them up, checking them for safety and starting to inflate them. It was quite a sight to see them up close. Soon after, it was time to hop into the basket – thankfully upright! The baskets are split into 5 sections – 4 squares which each fit 4 people, then a long section in the centre for the pilot. 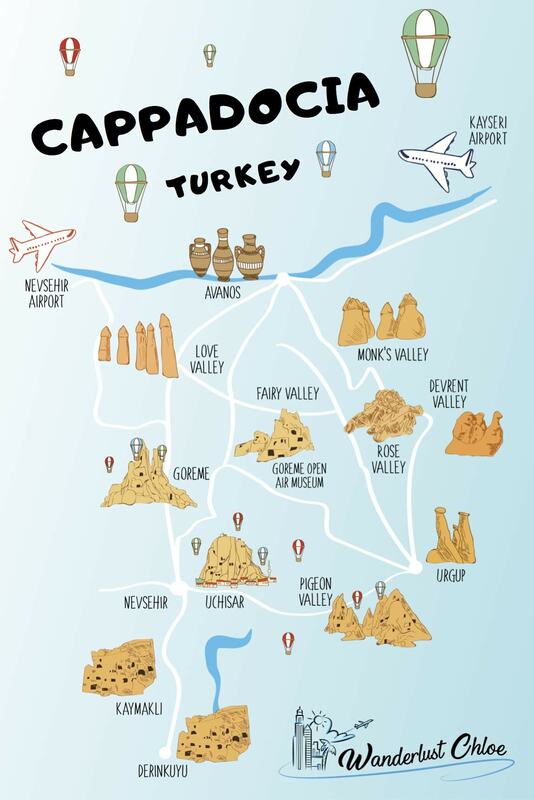 I was pleased to be taken up by one of the most experienced pilots in Cappadocia! 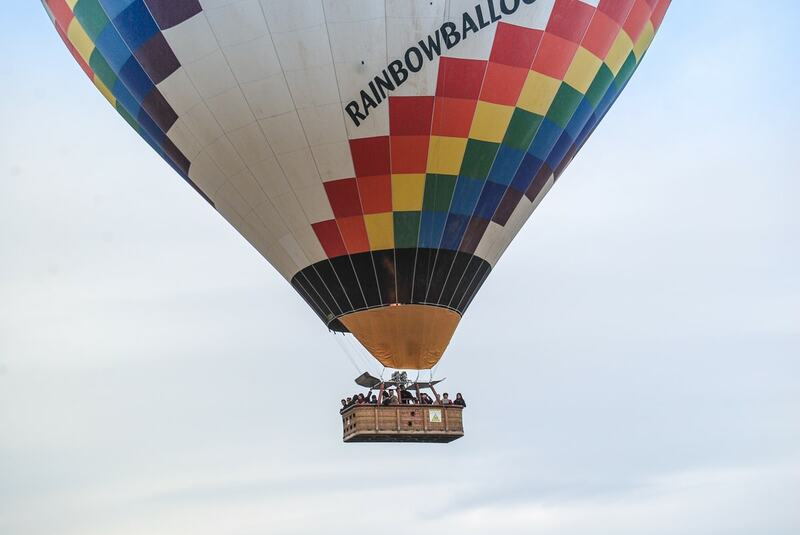 He told us stories of mid-air proposals… including one from last year when a couple flew in from NYC, took the balloon flight, got engaged, then flew straight back to NYC! 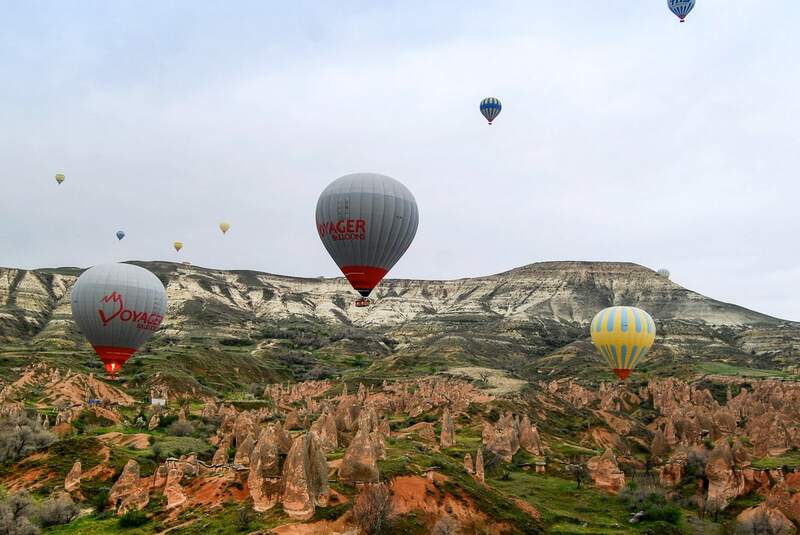 We heard tales of panicky passengers, and some interesting facts about the landscape. His favourite time to fly – in the winter when the whole area is covered in a thick layer of snow. 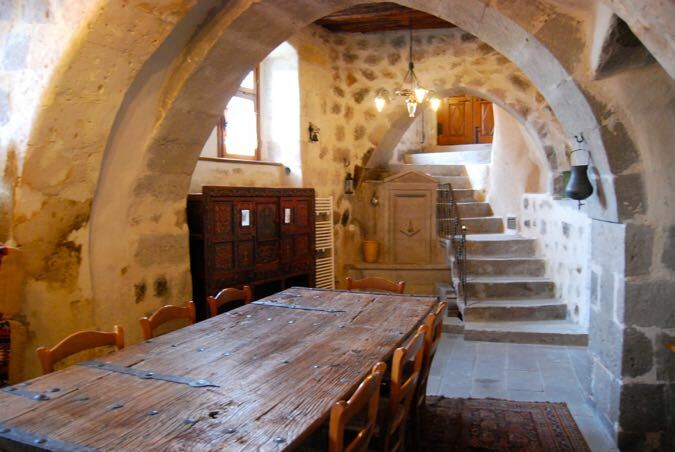 “I’ll have to come back again then…” I said. 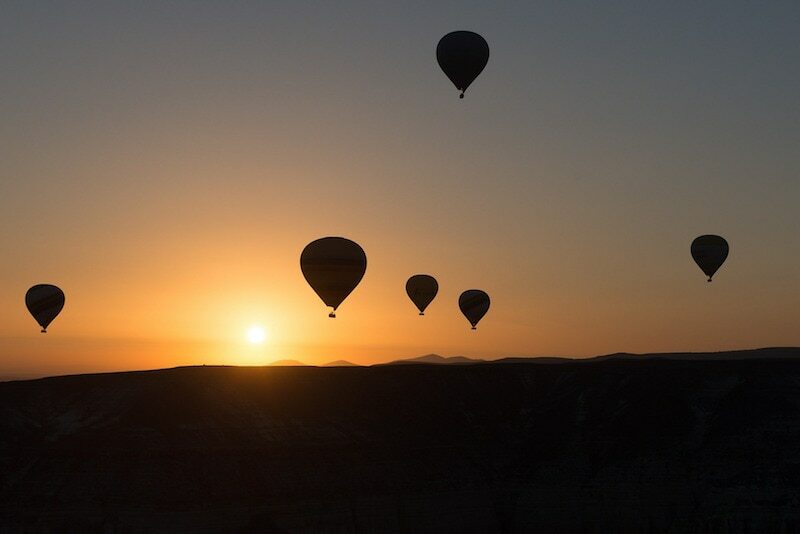 Over the next hour or so we floated up to a maximum height of 800m, soaring high in the morning sky alongside around 100 other balloons. The views were breathtaking – and constantly changed as we drifted through the different areas. 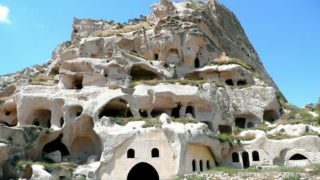 We passed the famous Fairy Chimneys, Monk’s Valley, Imagination Valley, pigeon houses, plenty of cave houses and vineyards. The landscape seemed to change colour as the minutes ticked by. 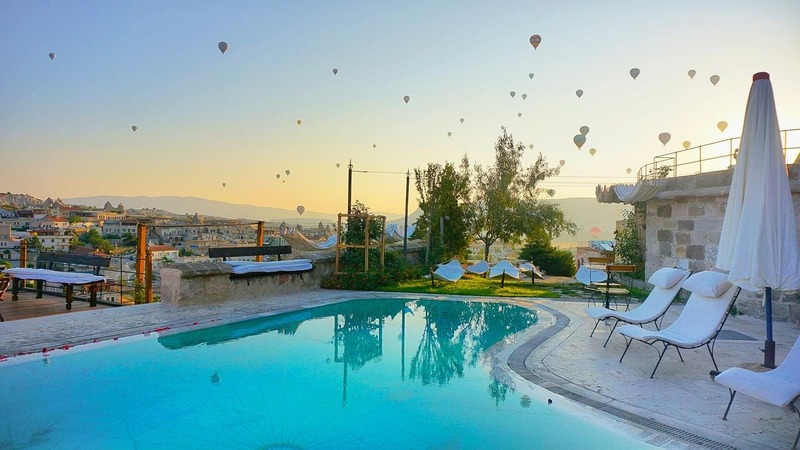 From the highest points, the panoramic views of the region were completely mind-blowing, while from the lowest points you could almost pick fruit from the trees! 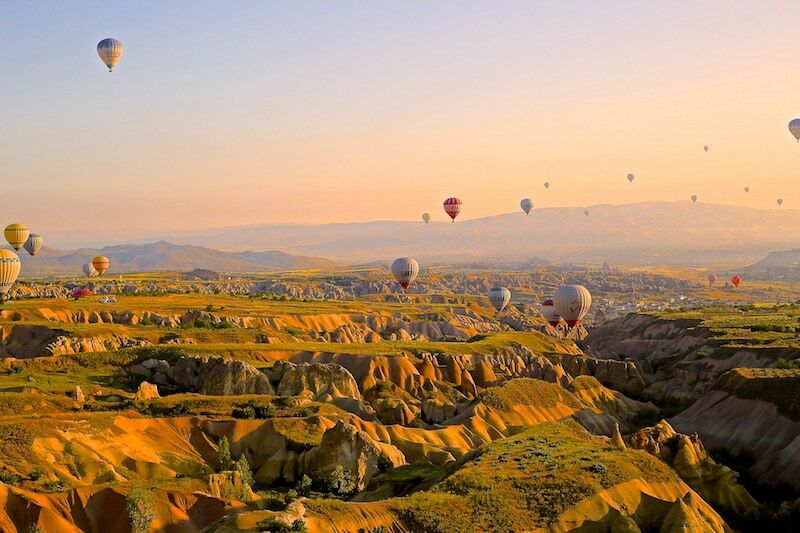 There was more to it than just the weird and wonderful landscape, the view of the other balloons in the sky made made it a completely magical experience. It didn’t look real! 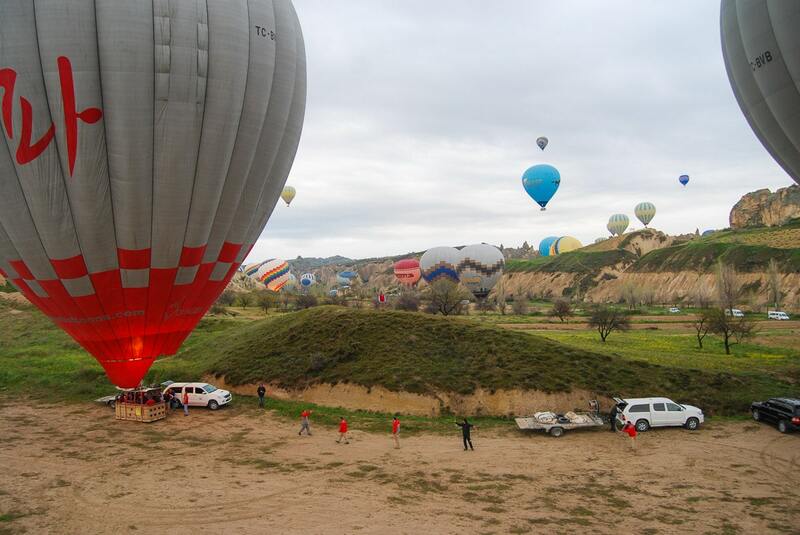 The motion back to the ground felt effortless (other balloons nearby looked like they were dropping rather fast!) 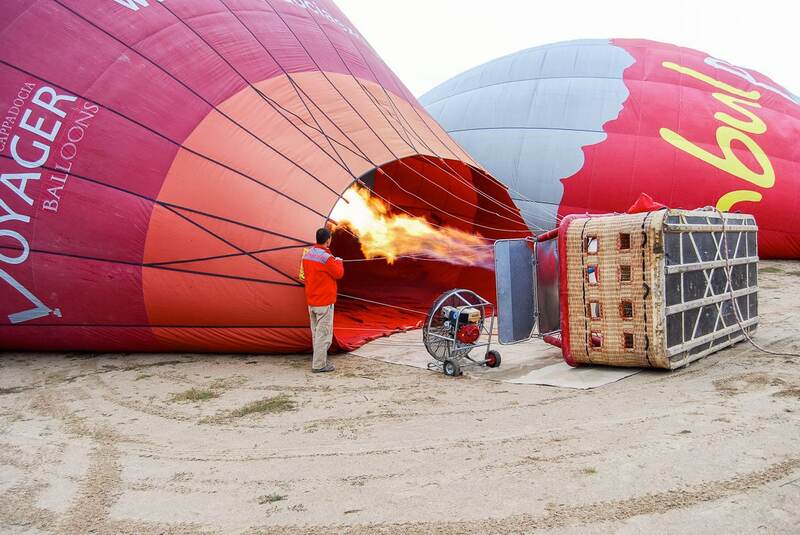 and we landed precisely on the balloon’s trailer. 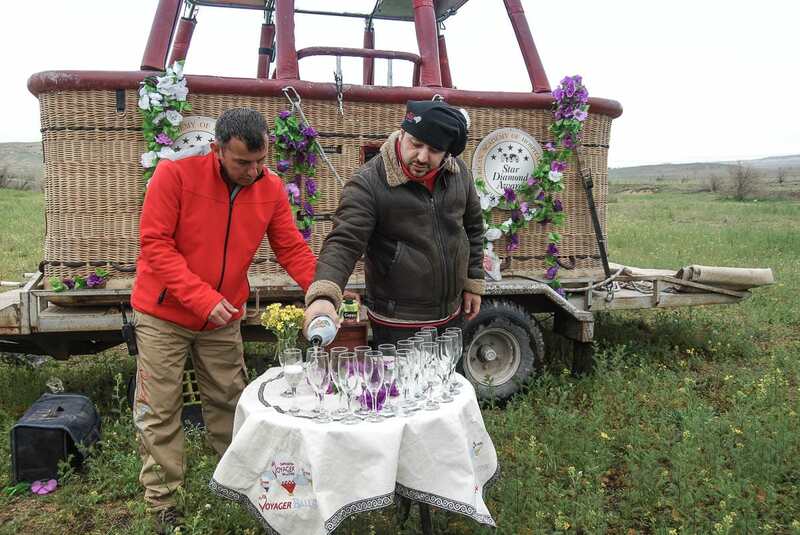 Once back on dry land, we were rewarded with a champagne toast and a certificate. 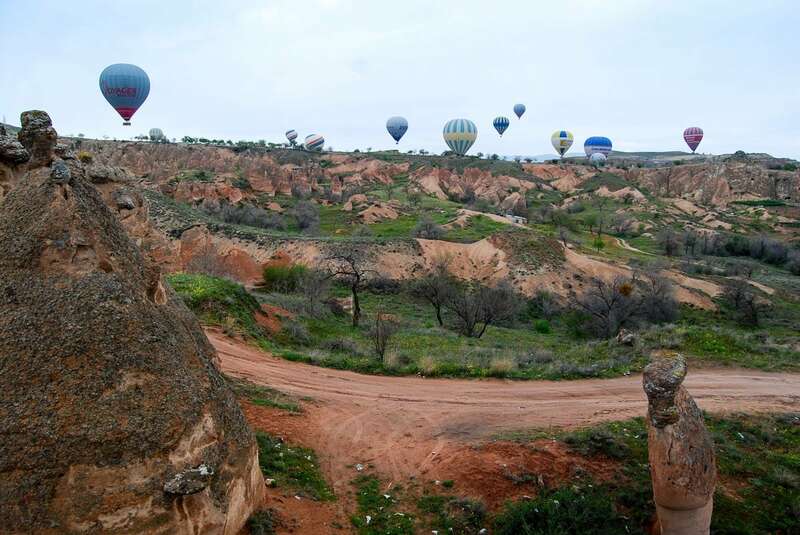 One of the main reasons tourists visit Cappadocia, is for the hot air ballooning… it’s a must-do if you’re in the area. 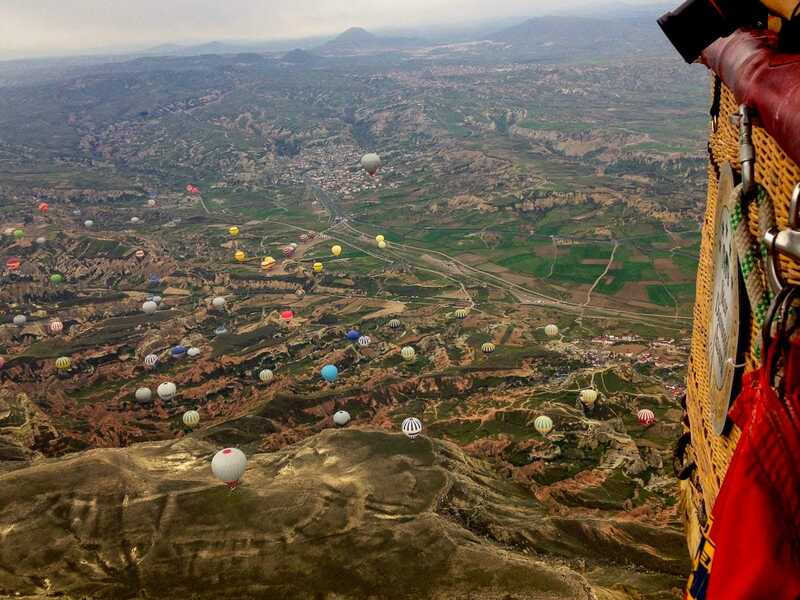 Along with the view, I was incredibly impressed by the pilots who not only navigate the incredibly uneven landscape, but also fly safely so close to other balloons. All this, in an aircraft which only has the ability to go up and down! 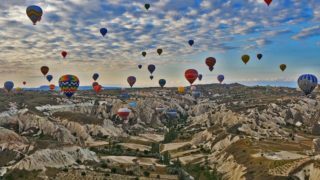 Hot air ballooning in Cappadocia is one of the most impressive, magical things I’ve ever done, and well worth the visit to Turkey! I’ll certainly be back again, but next time to capture the landscape under a blanket of snow! 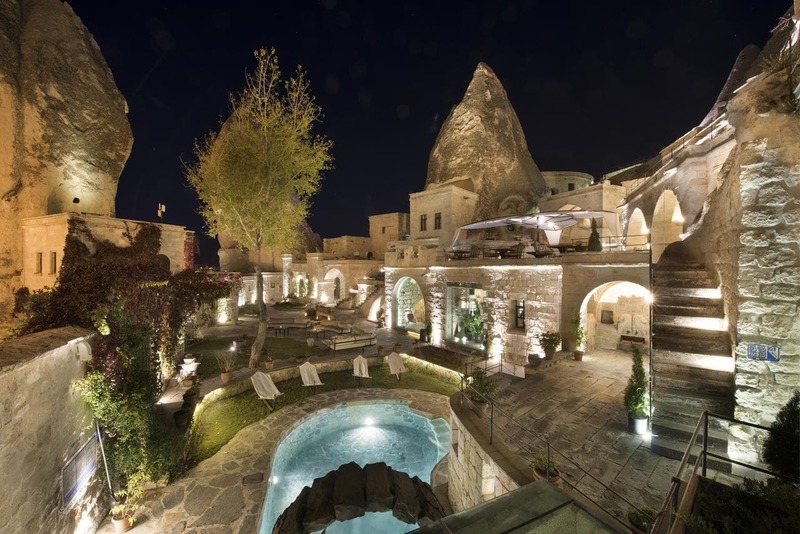 Looking For A Hotel In Cappadocia? 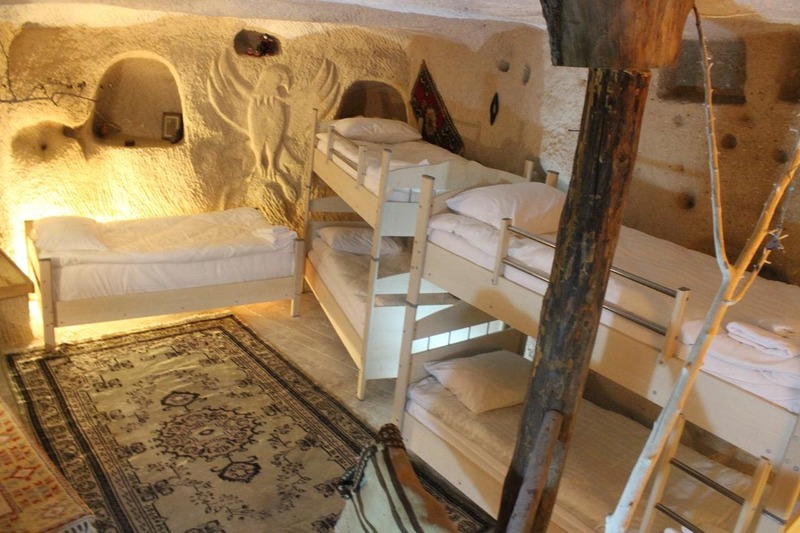 If you’re visiting Cappadocia for hot air ballooning, then why not stay in a beautiful cave hotel too? 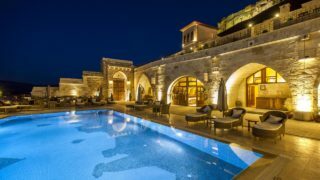 There are plenty to choose from, whether you’re looking for a budget hostel, mid-price room or a luxurious palace for the night, check out these top recommendations. Thanks Hannah – I loved it so much! Definitely go if you get the chance. It’s decided. I’m definitely going! It’s on my bucketlist and I can’t wait to scratch it off! Ahhh you just have to do it! Such an awesome experience! Hi loved reading your article! I’m looking to go for 3 days as a shoet break. Do you think this would be enough?! Yes! I think three days is perfect. 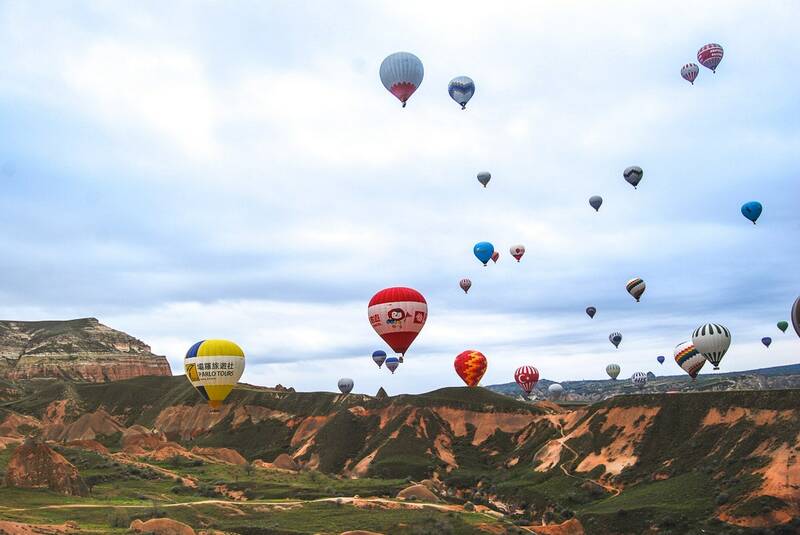 You’ll have to hope the balloons are flying on one of those, but with more than one day there, you’re likely to be lucky!